This brochure has been used to explain the four essential estate planning documents that married couples need to prepare: wills (with a built-in trust for children), general powers of attorney, healthcare powers of attorney, and living will advance directives. Download your brochure today! These families have ensured that their love ones and property are protected. 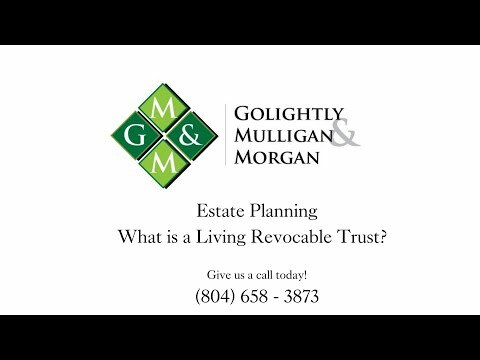 See how we made estate planning understandable and approachable for them. Golightly Mulligan & Morgan is a small law firm with big values; it is made up of exceptional people who provide high-quality legal services at reasonable fees. While adhering to the highest ethical standards, our legal professionals solve a wide variety of complex legal problems and help both families and small businesses plan for an uncertain future. With our family-centric culture, our firm delivers superior legal service in a comfortable environment, making our clients feel right at home. We have offices in Richmond’s Far West End and the Tidewater area. Our attorneys serve clients throughout the Commonwealth of Virginia, including Richmond, Henrico, Goochland, Midlothian, Chesterfield, Hampton, Newport News, Chesapeake, Norfolk, Virginia Beach and Suffolk.